at San Damiano Retreat, Danville, California. 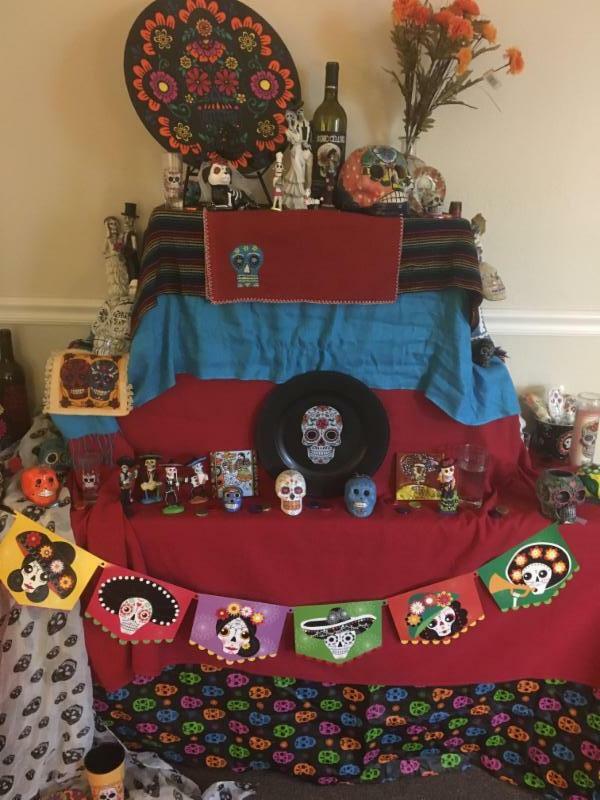 Friars are invited to send in photos of their own altars. 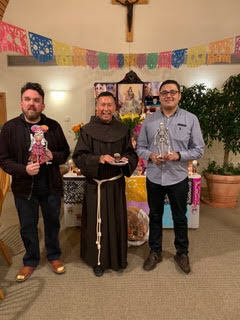 The Conventual Church of Our Lady of the Angels at The Franciscan Renewal Center in Scottsdale, Arizona served as the venue for the transitional diaconate ordination of our brother, Friar Sam Nasada. 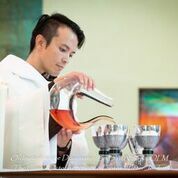 With Bishop Thomas Olmsted (Diocese of Phoenix) presiding and Provincial Minister David Gaa concelebrating, the October 20 liturgy also involved the presence of more than a dozen friars, primarily from the Southwest. 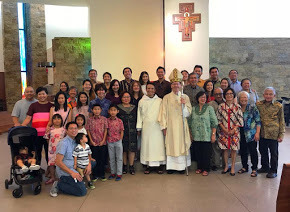 Present as well were relatives and friends from the Indonesian Catholic communities in both the Los Angeles and Phoenix area, as well as members and friends of the FRC. Photos: c. Peter Jordan, unless otherwise noted. 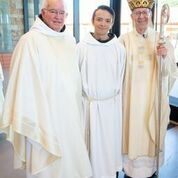 PM David Gaa, Deacon Sam Nasada, Bishop Thomas Olmsted. of LA and Phoenix. Photo: Densy Chandra. 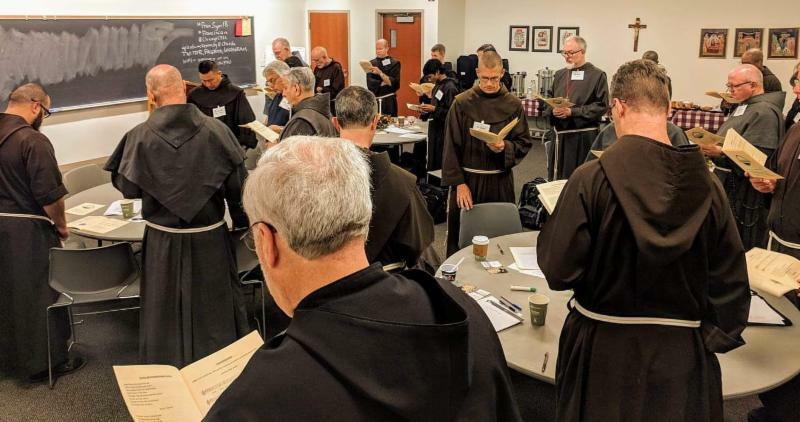 More than 40 friars-- OFM's, Capuchins, Conventuals, TOR's, Atonement, and Brooklyn Brothers-- gathered at the Chicago Theological Union (CTU) from October 25 to 27 for a symposium on Franciscan formation. Friar Juan-Jose Jauregui and I represented St. Barbara Province, and Friar Michael Higgins, TOR, President of FST, also represented our school of theology. 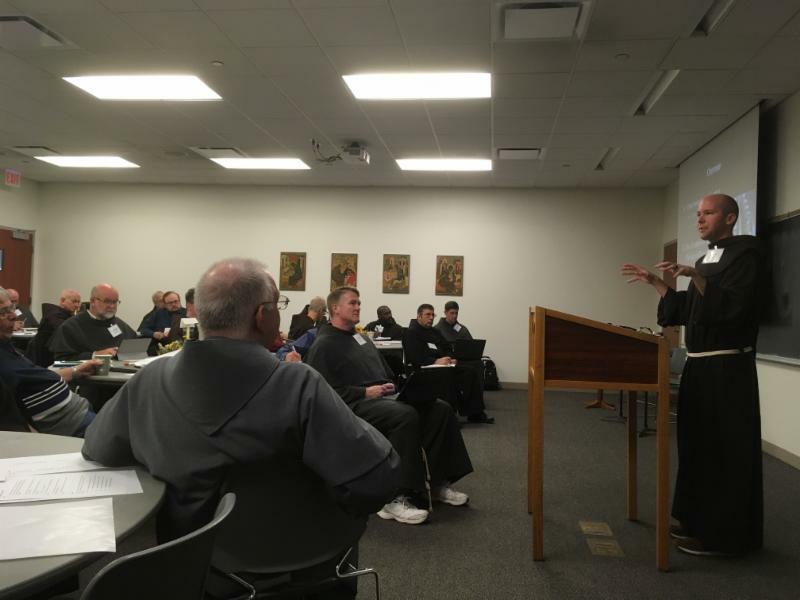 The symposium was organized by the Duns Scotus Chair of Spirituality at CTU, a position sponsored by St. John the Baptist province and currently held by Friar Ed Foley, OFM Cap. Two Franciscan sisters also played an integral role in this event. Sister Margaret Carney OSF, President Emeritus of St. Bonaventure University and a speaker at our Extraordinary Chapter in May, was the facilitator for the whole symposium. Sister Margaret E. (Meg) Guider OSF, Professor of Theology at Boston College, was a keynote speaker, along with Minister General Friar Michael Perry, former Capuchin minister general and retired Bishop of Nelson of British Colombia, Friar John Corriveau, and Friar Dan Horan. 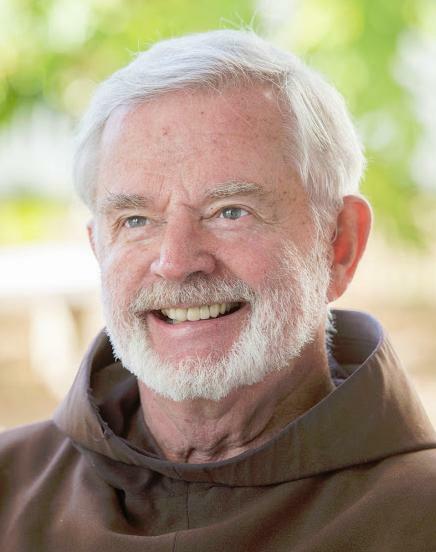 Minister General Michael Perry stressed the importance of accompaniment in Franciscan formation, which is not limited to solely the period before solemn profession. He observed that many friars felt lonely and left to suffer alone, not having enough support by others in their friaries. 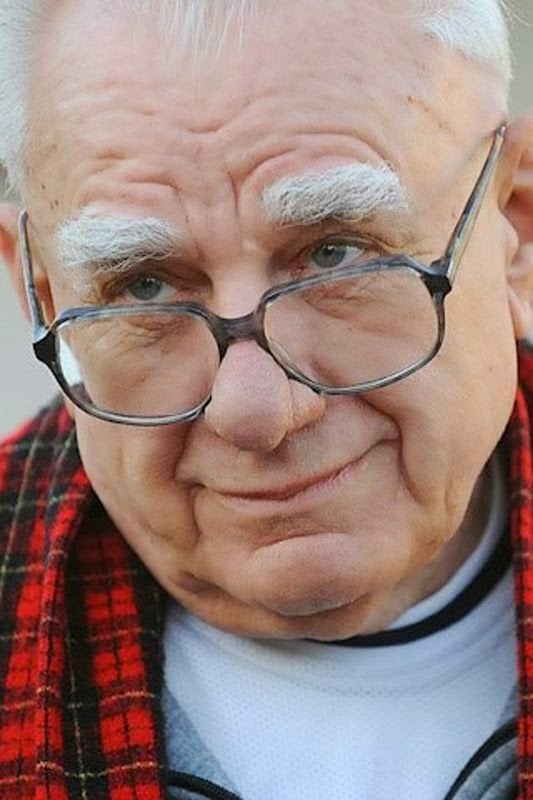 He believed that crisis can serve as a road to realizing one’s authentic identity, but that accompaniment is key if one is to survive such a crisis. The next day, Sister Meg Guider invited the friars to reflect on the grace of fraternitas that we have received. What kind of stewards of this grace that we are called to be? Dan Horan then shared how contemporary theology can help with our formation. Finally, John Corriveau gave a passionate talk on becoming a brotherhood of missionary disciples. 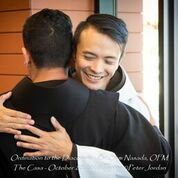 Borrowing a phrase from the OFM Conventual’s constitution, he challenged the friars to truly make our local fraternities "the privileged instruments of communion." The complete scripts of the talks and their responses will be published online by CTU in the near future. We will make sure to mention it on OFM.FYI when it becomes available. What might not be captured in that written publication is the spirit of brotherhood among those present. 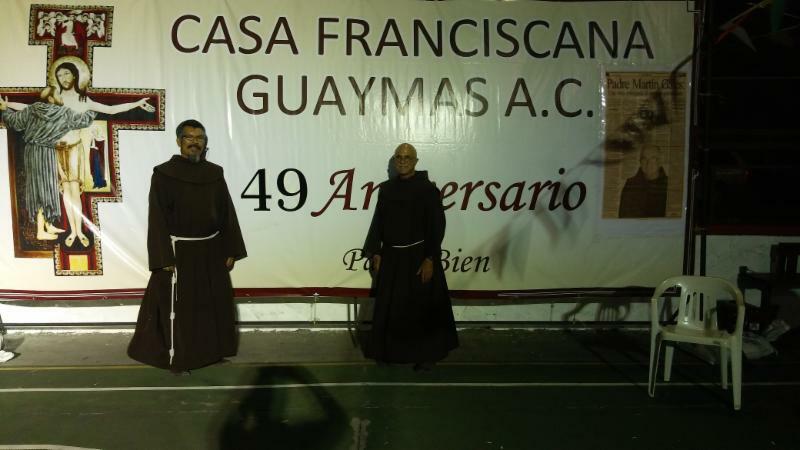 Everybody expressed their desire to attend more events like this in the future, where the larger Franciscan family, including the Poor Clares, Franciscan sisters, and seculars, can gather together. 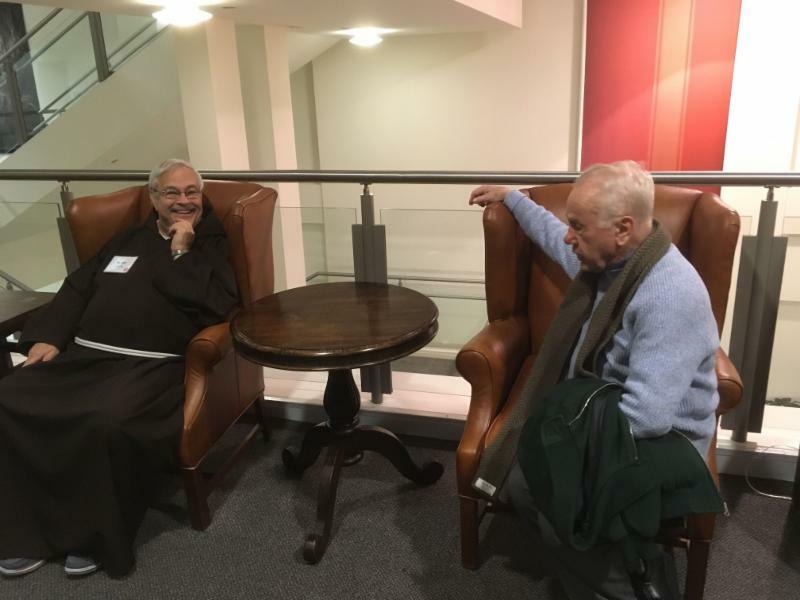 There was also a desire for more collaboration between FST, CTU, and the Franciscan Institute at St. Bonaventure University to provide opportunities for the Franciscan family to learn more about our intellectual and spiritual traditions. In a world that seems to only want to build more walls , we Franciscans can show the world how to build more bridges. Top Right Photo: Friar Dan Horan (Holy Name Province) delivers his keynote talk on Contemporary Theology and Franciscan formation. Former FST presidents, Friars Bill Cieslak, OFM Cap. and Mario DiCicco, OFM (Sacred Heart Province) chat before Michael Perry's talk. 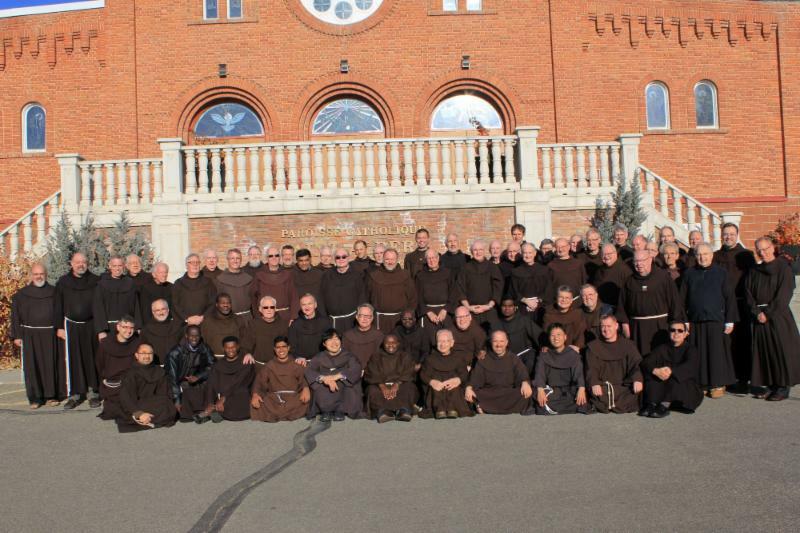 Why are these 13 friars smiling? Thirteen novices participating in the OFM Interprovincial Novitiate, coming from five provinces of the US-6, were vested in the probationary habit in an Investiture Rite on October 16. The Rite was conducted in the side chapel of the historic Old Mission Santa Barbara and was overseen by Friar Jeff MacNab, Novice Master. The investiture service, which lasted one hour, was viewed by friends, family, and others via a life-stream and remains on YouTube. Click here for the video. 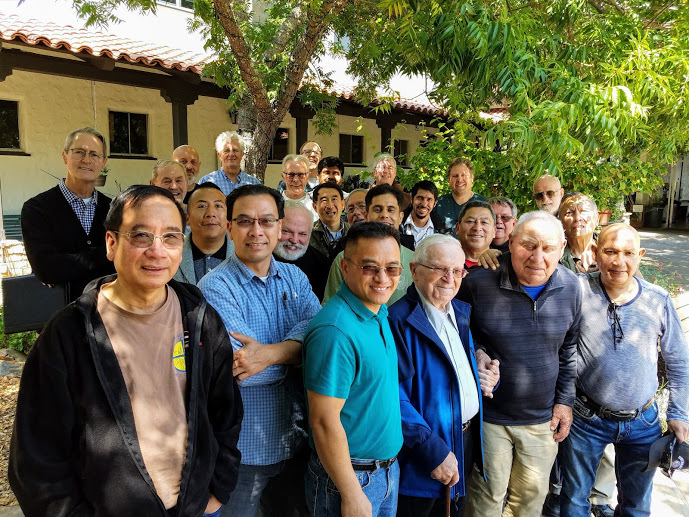 The thirteen men representing Assumption of the Blessed Virgin Mary, Holy Name of Jesus, St. John the Baptist, Sacred Heart, and St. Barbara provinces received their probationary habits from delegates from each province. They are: Andrew Aldrich (from Kim Studwell, (ABVM); Ian Grant, Loren Moreno, John Neuffer, Richard Phillip, Carlos Portillo, and Steven Young from Basil Valente (HNP); Matt Ryan and Rafael Ozoude, from Charlie Milller, (SJB): Nhan Ton from Ralph Parthie (SH); and , Andrew Dinegar, Salvador Mejia, and Josh Tagolo from David Gaa (SB). The liturgy involved novices from the Conventuals and Capuchins in music and reading. 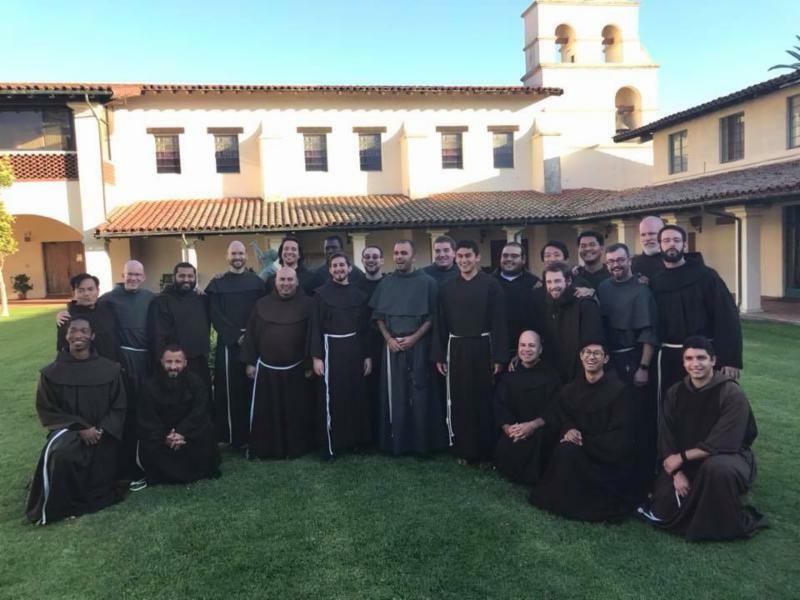 The reflection was offered by David Gaa, Provincial of St. Barbara Province, in which he expressed a personal refection of the habit and the ideals of the Order of Friars Minor and the Catholic Church as a whole. David started by stating that the habit the novices would receive should be “outward sign of an inward reality”; a reality that must be expressed in our behavior. Further, he went on to say that, “We are men of ideals,” of prayer, peace, reconciliation, and simplicity. He continued to express how often we fall into the “abyss” that stands between the reality of ourselves and the ideals set by Christ and St. Francis. “How do we bridge this abyss without becoming frustrated?” In an attempt to answer a question that has no one answer, David offered the understanding that our ideals as Catholic men in Franciscan life should be to see these ideals as “stars we stretch for,” that we will never totally reach. 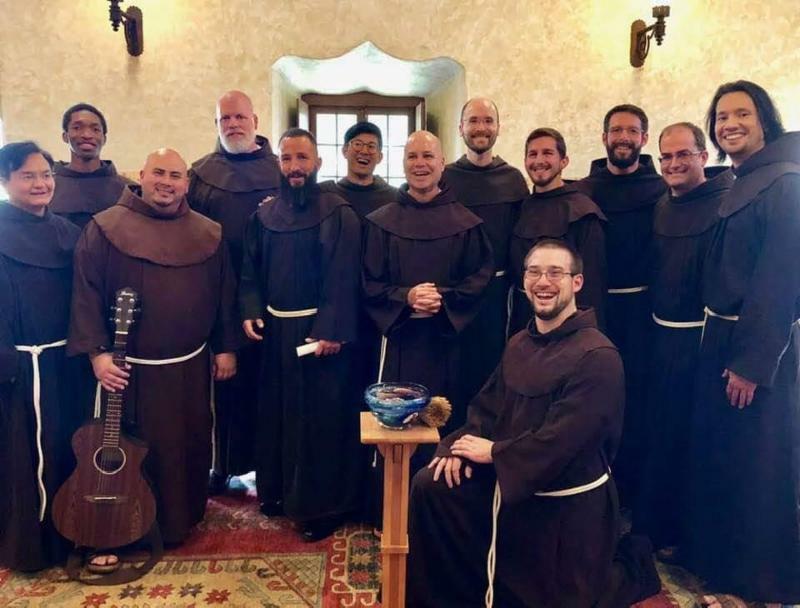 The novices exited, then re-entered the chapel clothed in the habit of probation and were welcomed ever more fully by their Franciscan family. A reception and dinner hosted by the novitiate team and friars at the Old Mission followed the mid-afternoon ceremony. And the novices, being only partially formed in Franciscan life, left the dining room before they were asked to do the dishes. Top Photo: Group photo of novices in their habits. Bottom Photo: Intercommunity gathering of novices at Investiture (Conventuals, Capuchins, OFMs). 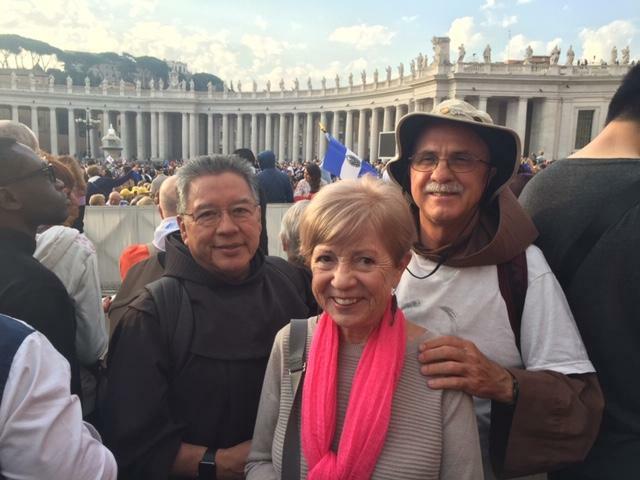 Friar Óscar Méndez, my sister Marilyn Astore and I arrived in Rome on October 12th with plans to attend the Canonization Mass of Archbishop Óscar Romero, Pope Paul VI and five others on October 14th. On October 12th, we went to St. Peter´s Square to find it all ready for the Mass on the 14th. With Óscar and I in the foreground, in the background you can see the banners of Óscar Romero, Paul VI and the other seven to be canonized. Since Friar Bill Short picked up our tickets to the Canonization Mass, he invited us to lunch at St. Isidore’s on October 13th. It was great to see Bill and Friar Ryan Thornton who, along with the Irish Franciscans, took great care of us. 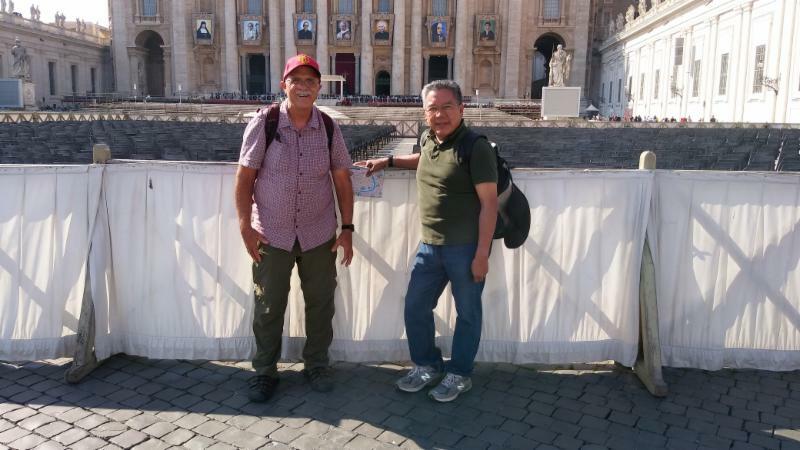 Everywhere we went in Rome, we ran into Salvadorans excited about the canonization of Óscar Romero. I am sure there were thousands of Salvadorans present at the Canonization Mass at St. Peter´s Square. The estimate was that at least 70,000 people attended. We arrived at St. Peter´s Square two hours before the start of Mass and all the seats were already taken. As you can see in the photo, we were packed in like sardines for four hours. Nevertheless, it was a powerful experience. Because people who attended the Mass were from all over the world, we really had a concrete experience of how international the Catholic Church is. The day after the canonization, Pope Francis held an audience with the Salvadorans who were in Rome for the celebration. Since we were leaving for Assisi that day, Óscar could not attend. However, highlights from the audience are on YouTube. CLICK HERE FOR THE LINK. It is Pope Francis at his best. ¡Viva San Óscar Romero! (l to r) Friar Óscar Méndez, Marilyn Astore (sister of Friar Tommy King) and Tommy. ﻿Oscar Méndez at the Vatican. It is a matter of fact: the new Franciscan Province has been created! It is time to turn the page. 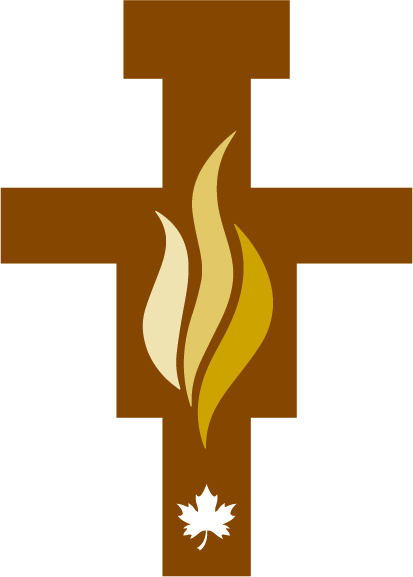 The birth of a new Canadian Franciscan Province with its new identity begins today (October 22). 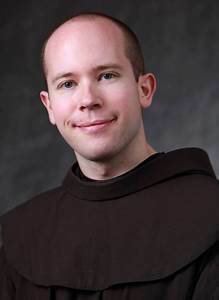 The union has been formalized by a decree pronounced by the General Minister of the Order of Friars Minor, Michael Anthony Perry, OFM. The new leader of the province, known as the Minister Provincial, is Pierre Charland, OFM. “The creation of the new Holy Spirit/ Saint-Esprit Province of Canada takes us back to the roots of our Franciscan charism. It reflects a desire to be led by the Spirit, even on unknown paths. It takes us back to the experience of Pentecost, and to the core of the Gospel. This is what I hope will characterize the new Canadian province”, according to the new Provincial minister. Many guests from across Canada came to St. Albert, Alberta, to join in this historical celebration including Peter Williams, OFM, General Delegate, as well as some Canadian bishops and Franciscan provincial ministers from the USA. The proclamation of the erection of the new Province and the formation of the new Provincial government opened the Chapter. Go rebuild my house! is the theme for this Chapter of Union-- the very words which St. Francis heard before the San Damiano crucifix in Assisi. This Chapter allows for the new Province to build on a strong foundation and to discuss the kind of challenges that come with the mission and the evangelization needs for 2018. Franciscans desire to be present and close with the people they serve and to all of creation. No matter who they are, no matter what they do, including the new generation, they want to bring Christ and the Gospel to the modern world. Photos: Courtesy, Province of the Holy Spirit. Peace and all good. Please click here to view an important announcement that has been sent to Province stakeholders announcing the retirement of Barry Stenger. 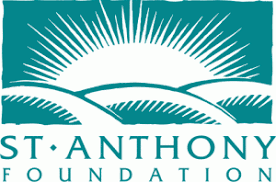 We are grateful for Barry's service to St. Anthony Foundation over the years, and we wish him the best of luck in the next chapter of his life. Please keep Barry and Lupe and their family in your prayers of gratitude for the many gifts he has given the friars over the years. 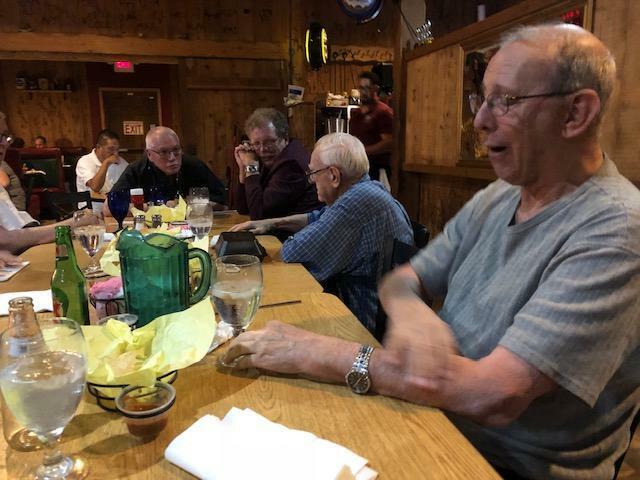 Friars are invited to attend Peter’s birthday celebration at an 11:30 luncheon in his honor to be held at his residence, Atria de la Compana del Rio, located at 1550-East River Road, in Tucson AZ. RSVP to Friar Bob Brady via email: ofmcafci@aol.com, or text: 415-341-7374. Looking forward to hearing back from you before Thursday, 1 November 2018! 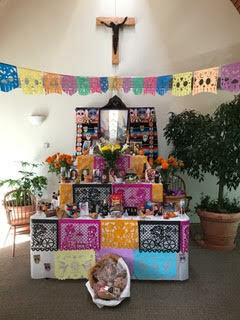 I was recommended to shoot some photos from the Day of the Dead celebration I helped organize for the postulant community at Holy Name College, Silver Spring, Maryland. Jesús Osornio of Guadalupe Province and I took lead on this, with help from Fr. Rommel of Sacred Heart Province. 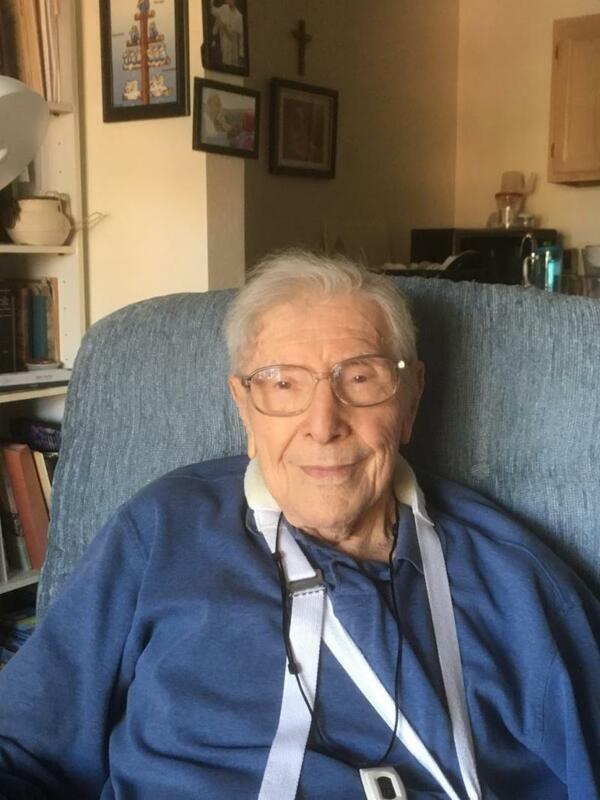 Deborah Roque, the mother of Richard Phillip OFM, a Novice from Holy Name Province, died on Tuesday October 16, 2018. The funeral Mass was held on Tuesday October 23, at St. Margaret Church, Woodbury Heights, New Jersey. Friar Dan Horan (HNP), a theologian and columnist at America magazine, has lectured across North America and Europe. 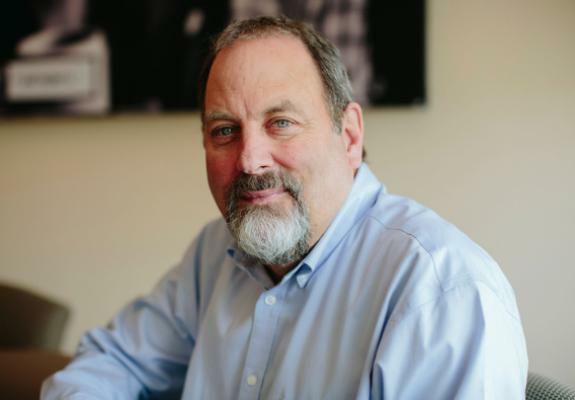 He teaches theology and spirituality at the Catholic Theological Union in Chicago. He previously taught at Boston College as well as at Siena College and St. Bonaventure University, both in New York. Fr. 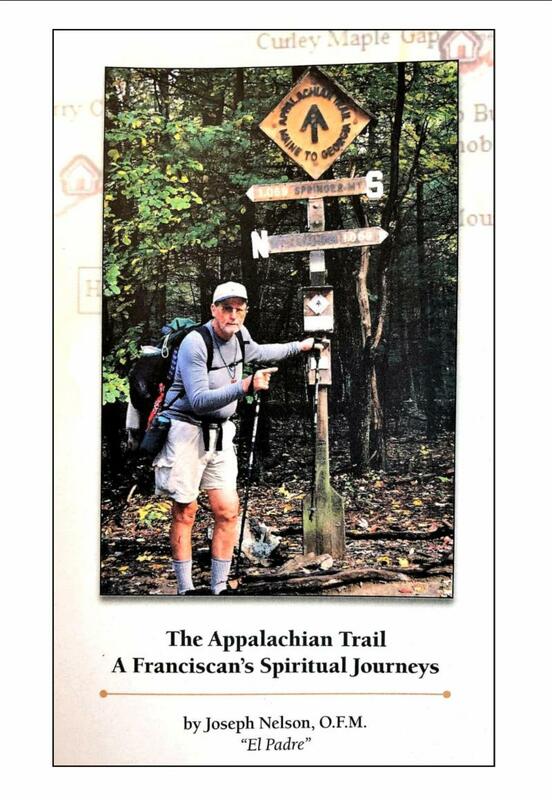 Joe Nelson, OFM (OLG) has written a book entitled The Appalachian Trail: A Franciscans Spiritual Journey. In it he gives a day by day account of his time on the Appalachian Trail and then how it fits in with autobiographical parts of his life, and finally how it reflects Franciscan Spirituality. The cover price on the book is $16.95 but he will sell it to friars for $14.95. for the Feast of St. Francis, October 4. 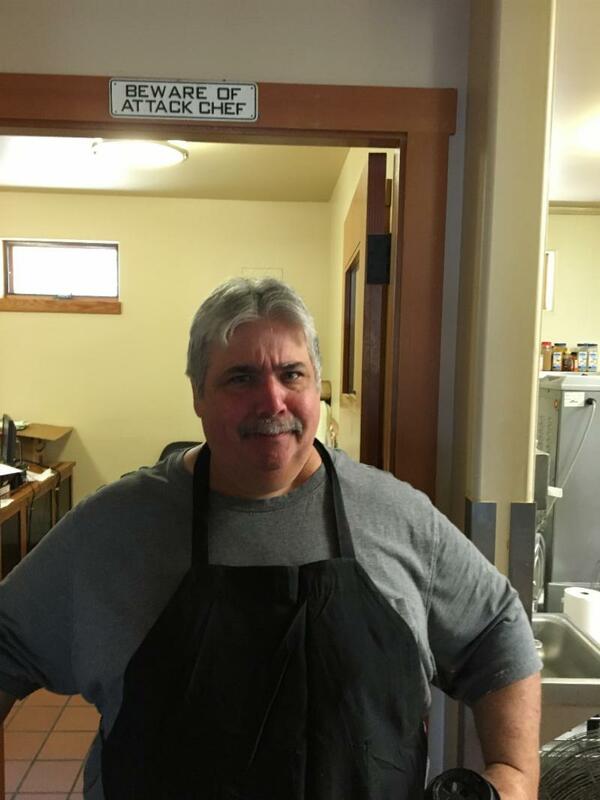 SAN JUAN BAUTISTA: Chef Jeff rules the roost (or is it ‘roast’) at St. Francis Retreat.